Before this news broke, I had almost completely managed to forget about Metal Gear Survive. While I had sparse moments of fun with Konami’s threadbare Metal Gear-themed survival sim earlier this year, it was ultimately an experience marred by pointless base building and transparent cash-grab tactics (in my review, I scored the game 5.5/10). I believe Metal Gear Survive was technically meant to function as a “live service” a la Destiny 2, but aside from a few community events surrounding the games launch, I hadn’t heard any news about the game since it’s release. I honestly assumed it would just fade into obscurity, never to be seen again. I assumed wrong. In the spirit of the Halloween season, Metal Gear Survive will be getting a new horror-themed event that will include both Castlevania and Silent Hill-themed goodies for whoever is still playing the game. 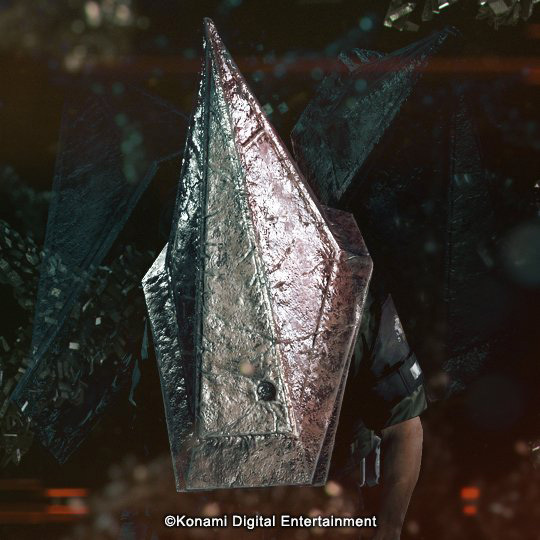 As reported by Metal Gear Informer, players will also be able to score a sweet Pyramid Head helmet, modeled after the Red Pyramid’s appearance in Silent Hill 2. The event will also include tapes containing music from Silent Hill and various Castlevania titles, and some recipes for in-game items. You can take a look at the Pyramid Head helmet down below. While I would like to believe this to be some kind of hint that a new Silent Hill game is in development, it’s likely just another case of Konami tacking recognizable characters into a different game, as seen last year in Super Bomberman R. That having been said, they’ve been doing the same thing with Castlevania, which recently got a few games re-released on PS4. I wouldn’t hold out hope that we could see older Silent Hill titles come to modern systems, but it’s not outside the realm of possibility if events like this and re-releases like Castlevania generate enough interest. If there’s one thing predictable about Konami, it’s that they love money. 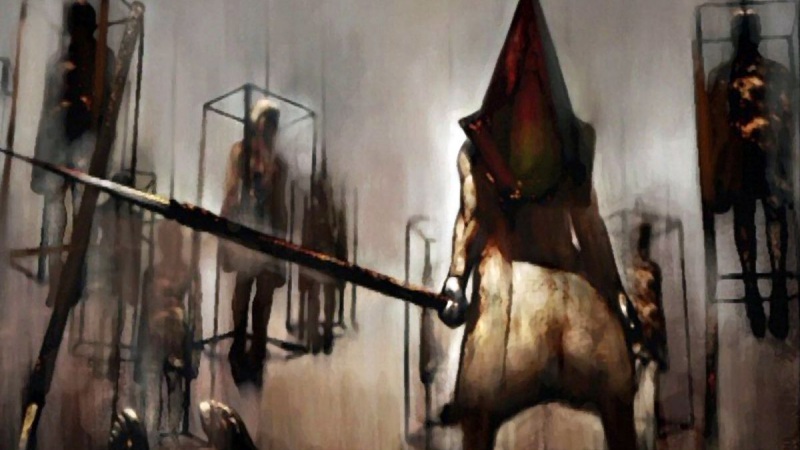 If you’re suddenly in the mood to get sad about Silent Hill all over again, earlier this year we investigated how Konami self-sabotaged the Silent Hill HD Collection. Take a look right here.